By cancelling classes and pushing deadlines because of ongoing protests, we might be doing more harm than good. For the past two years the actions of government and protesting students have slowly started squeezing South Africa’s universities into a shadow of their former selves. In his book “As by Fire” prominent educationalist Jonathan Jansen argues that South Africa is witnessing the end of its universities. He explains that this doesn’t mean the doors will close. Registration will not stop. The day to day business of universities will continue. But, he warns, the excellence evidenced by the rankings of South African universities will slowly dip into oblivion. South Africa is the only country in Africa with ten universities that regularly feature on at least one world ranking list. 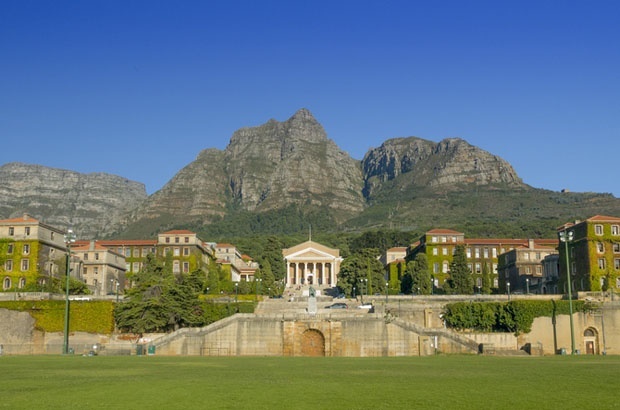 These ten are institutions that South Africans can be hugely proud of and whose achievements could serve as models for expanding excellence to other institutions. The decline in government funding to South African universities has meant that institutions have had to look elsewhere to cover costs. This has inevitably included increasing student tuition. In turn, this contributed to student protests in 2015 and 2016. In some instances those protests shut down institutions – suspending their normal functioning for days or weeks at a time. Shut downs have knock-on effects, some of them long lasting. If universities have to close their doors terms are delayed. Students don’t graduate and don’t pay fees. Universities cannot balance their budgets and infrastructure is not maintained. Staff salaries can’t be paid and academics have to work two or three jobs to survive. The impact is also felt when it comes to funding. Funding agencies have deadlines and if research outputs are not met grants get cancelled. If grants are cancelled there is less money for equipment. Post graduate student bursaries are cancelled. Post graduate students drop out and go elsewhere and even if new research grants are awarded the students are no longer available to do the research. Then the research outputs cannot be met - again. Universities elsewhere – in Nigeria, Kenya and, as Jansen himself writes, Zimbabwe and Uganda – stand as a stark warning. South Africa must act to halt the decline and save its universities’ well deserved global reputation of excellence. Who cares about universities’ world rankings? Isn’t this just an elitist system in which South Africa cannot afford to compete given its declining economy? No, it’s not. Excellence in academia is a self perpetuating cycle. Break this cycle and universities dive into a spiral of decline. Excellent students complete their degrees in the minimum time. They drive excellence in an institution’s research programmes. They then become top quality post graduate students who in turn become top class academics and a university’s research machine benefits. These graduates have the ability and the interest needed to engage with a university’s research activities. Because they excel academically, they are often keen to get to grips with more advanced research. What I’ve found is that getting students involved early on in research often inspires them to study further, equipping them to be future lecturers and professors. Many research programmes – including my own and that of the faculty in which I work – offer opportunities for undergraduate students to work in their laboratories. In this way students can participate in an institutions’ research activities. In turn, increased research output benefits universities financially. Keeping a steady flow of research output will ensure that South Africa can continue to boast some of the world’s top ranked research programmes. The universities of Pretoria, the Witwatersrand and Cape Town are considered world leaders in mycology, ornithology, anthropology and area studies. The research programmes that earned them these rankings depend on access to top quality postgraduate students. These bright young minds drive world class research – and they come from all over the world. My own programme has attracted students from Australia, China, Iran, Kenya, Korea, Nigeria, Vietnam and Zimbabwe who are now studying with me. I have in the past also had the privilege of supervising students from Cameroon, Colombia, Chile, Ethiopia, Germany, Lesotho, Namibia, Oman, Switzerland, Uruguay, Venezuela and Zambia. This internationally rich group of students benefits my research and is hugely stimulating to the South Africa students in the programme. The common thread here is engaging students and providing them with the facilities and environment that will keep them in South Africa. Brain drain is a reality. The country needs more doctors to staff its hospitals and engineers to build its power stations. Losing skilled professionals is bad for the economy. In addition, university students the world over have changed the direction of business, governments and politics because they are a country’s intellectual leaders. When the strongest of these students choose not to study at universities in their homeland the country is robbed of its next generation of leaders. Universities must maintain their excellence – or watch their best and brightest minds choosing to study and perhaps settle elsewhere. The role of universities is to educate. They need to produce research and attract brilliant young thinkers who will, ultimately, contribute to a stronger economy and society. South Africa’s universities have long fulfilled these roles. The country cannot afford to see its tertiary education sector pitch over the precipice. How do you feel about the ongoing student protests across South African campuses? Do you agree that it might be doing more harm than good? Tell us by emailing to chatback@parent24.com and we may publish your comments.